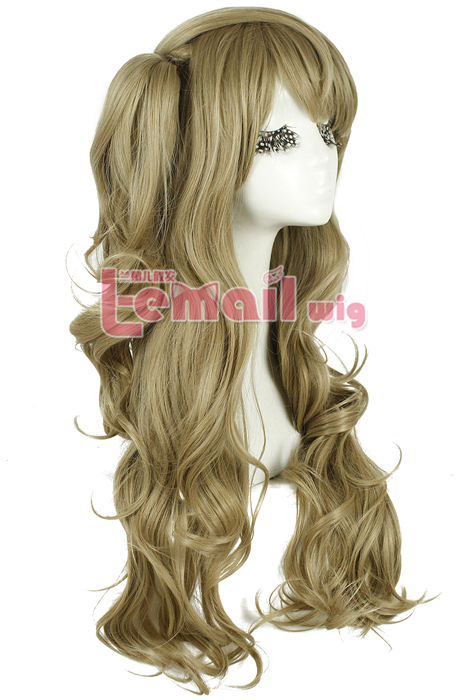 Love Live Minami Kotori Cosplay wig is a warm flaxen wig with sleek curly tresses. The wig has front bangs and the side pony tail that adds charm to the complete style of the wig. It does not shine bold, so one needs not to worry about the plastic-feel some cheap synthetic wigs cast. The wig is cute and soft and appealing to touch. It is perfect 75cm length, hence perfect for both cosplays and daily wear. Also needs to mention, Love Live Minami Kotori cosplay wig is long and curly style. It reaches the back line, however it does not tangle as expected from the longer wigs. The fiber with good shiny that prevents tangling among the fibers. 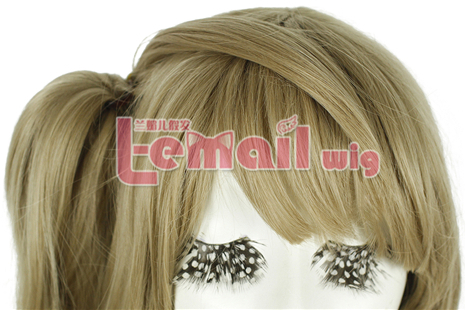 Minami Kotori wig possesses free bangs that you would like to trim as per your own facial frame before wearing. The wig is lusciously thick till the bottom and offers plenty of room for a custom trim. The quality of the cosplay wig is so silky soft, it honestly makes you feel like natural hair. This wig has an enticing hair cut. A petite pony tail at left adds a royal touch to the wig’s style. 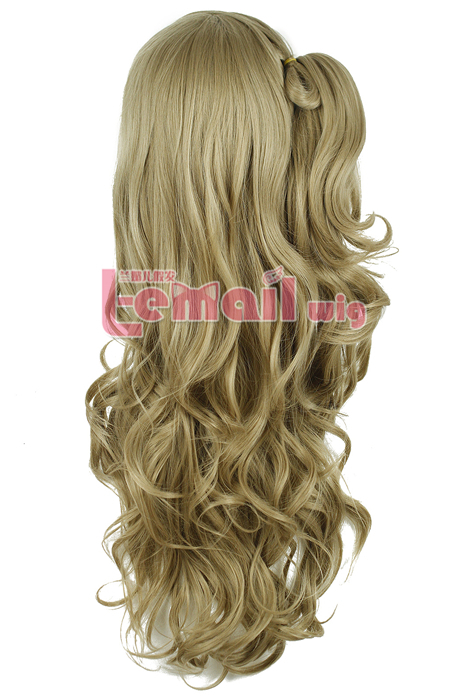 Wig is 75cm long and is made of 100% heat resistant synthetic fibers. This entry was posted in Buy Cosplay Wigs and tagged long wave cosplay wig, Love Live! 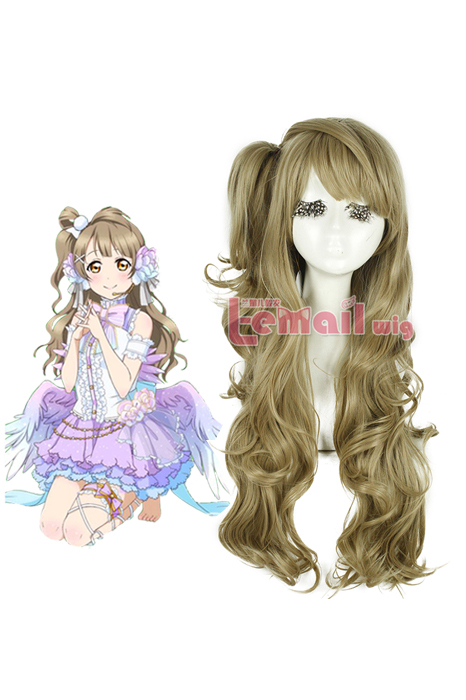 cosplay wig, Minami Kotori Cosplay Wig, Minami Kotori Flaxen Cosplay Wig.